Lucy Kovalova- strategist, business development professional, management consultant, founder of KLCGroup, coach. Through the career path Lucy has a chance to work with different business fields, with different roles. Was always curious to try something new, to add something more to the business. For this she’s an innovator and hardworker. All the steps, all the roads taken are leading to the path, but it is important to understand the goal initially, that is almost impossible in 16-18, even when you think it’s obvious ‘I want to become…’ Life changes us, but once you have a vision on the goal at least some mirage of this picture, you need to work hard and build the career steps toward this vision, toward your goal. 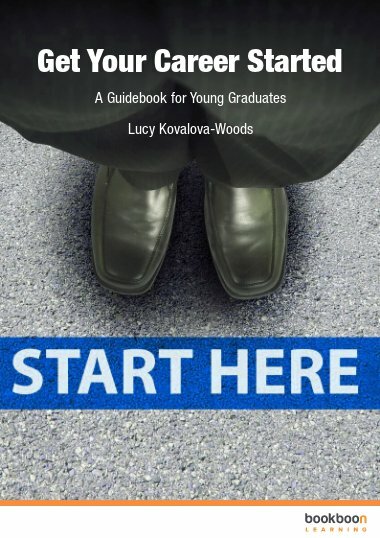 ‘Get Your Career Started- a guidebook for young graduates’ is exactly the guide to you on what to consider forming your vision, defining the goal and building the career from the very beginning. ‘18 years ago I was just like you… searching for something and trying to understand my place and role in the world, what my dream was. My vision wasn’t complete back then. I hope my book will help you complete your vision on the career way.